When I started pondering on what I wanted to rant about for my ‘Week 2’, “From My P.O.V” column (shortly after the first one was published.. like minutes, even) I was set on doing a deep-dive on how the players were playing the game. I love the strategy of Big Brother - it's what made me fall in love with the game many years ago, and it's what keeps me turning my TV on every Wednesday, Thursday, and Sunday. After my last column being SUPER heavy on the production side of things (Twists, returnees, etc. 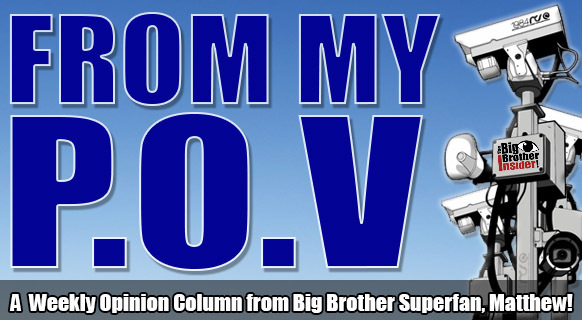 ), I was excited to leave that behind with my piece being said and move on to the “meat and potatoes” of Big Brother 18 - if you will. That's still the plan here, but when I foresaw this weeks column being 100% gameplay centric, I could not have predicted BB production would slap us in the face with our next twist of the summer - The Battle Back competition. Theres one thing I should get out of the way right now, right from the get-go. I am NOT a conspiracy theorist. In fact, I generally think conspiracy theorists are weak minded individuals who just can't accept the gravity of the truth in the world in which we live. I know it sounds harsh, but I'm really not that sorry. Lee Harvey Oswald assassinated J.F.K, the moon landing wasn't staged, and don’t even get me started on 9/11 truthers. All of this being the case, what has annoyed me most about the ‘Battle Back’ comp isn't the competition itself (actually, I LOVE it - more on that in a sec. ), but rather it's the imminent cries of “rigging” from the BB fanbase. 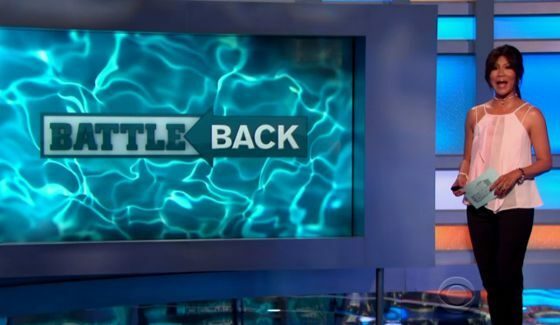 For those of you who might be unsure of what I mean, go check your twitter feeds using the #BB18 hashtag and seek out some perspective on the ‘Battle Back’ comp. You’ll see TOO MANY individuals saying it's all rigged to keep veterans in the house, or that it's going to be specifically designed to bring Jozea back, or some other banana-sandwich conspiracy theory about why they're having a pre-jury buyback this year. To all of that, I simply say look at history and use your common sense. FOUR out of the last FIVE Big Brother seasons have had buybacks (pre-or-post-jury). This isn't some anomaly, it's not the first time they’ve ever done it, it's nothing out of the ordinary whatsoever. 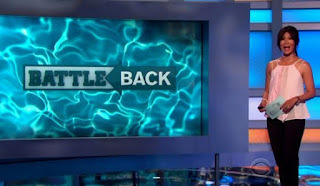 I do concede that a ‘pre’jury buyback is more rare, but we also have a 99 day season on tap and for that to be possible they either need 20 HGs or more buybacks! So seriously, stop with the “Waahhhh this is rigged” bologna. This twist is par for the course and you know it as well as I do. An endurance competition heavily, heavily favors a physical competitors, and having them all compete against one another at once can be a bit of a cluster. In this format, while we don't know what the challenges will look like just yet, it would be safe to wager we’ll see a variety of competitions that will challenge the HGs on multiple different levels. I love it. In all, we’ve seen this kind of format work on other extraordinarily popular competition reality shows by CBS (Survivor - Redemption Island, anyone? ), and I like it a heck of a lot more than a lot of its alternatives. Alright, let's get into some gameplay! One thing i'll get out of the way now, is that I am not a spoilers columnist. That being the case, all of my strategic analysis will be focused around what we see in the episodes of the show, not the live feeds. If you wanna talk live feeds, find me on twitter or something (@JYABBSuperfan), I'm open to it, just not here. So there's that. From my (humble) ‘P.O.V’ the HG who is playing the most masterful game at the moment is good ole’ Frank-the-Tank Eudy. I mean boy, is the guy pulling the wool over the minority alliance’s eyes or what? Frank had Jozea FULL WELL believing that he wasn't just a vote in his corner, but that he was actively fighting to keep him in the house! We all saw Frank let Jozea (proverbially) cry on his shoulder as Frank assured him “That's what friends are for”, just to turn around and send him packing - and in fact - even be one of the main forces pushing him out the door. Frank had Jozea so fooled that in his exit interview Jozea expressed that he was under the impression it was Natalie who backstabbed him! Not Frank, or even Day. What it boils down to for me is that Frank is using his second chance very savvily, and showing us in nearly every episode that he is in fact capable of making the changes he needed to make from BB14 to have a real chance at winning the whole sha-bang in BB18. In BB14 Frank was a comp beast who, while being a fun party-loving guy, had a lacking social and strategic game. He relied on Mike Boogie to direct his strategic game, and found himself on the block every week he was eligible until his inevitable eviction. This season, we’re seeing a different Frank Eudy. He's downplaying his competition abilities, only having won one (secret, at that) comp so far, and letting his social and strategic game do the walking and talking. Paulie is the other Houseguest who, right now - based only on what we’re seeing in the show - is playing a phenomenal game from where I am sitting. Paulie is setting himself up really nicely to go far in this game. By volunteering to “go to bat” last week, he has earned himself major trust and adoration among the veteran alliance. Despite not being an official Eight-Pack member, Paulie is a name we haven't heard come up on anyone’s radar (outside of the minority alliance last week, and that was just out of necessity) - which speaks volumes to his social game because he is so clearly one of the most burgeoning physical competitors in the house. He’s charmed his way into their hearts (the way members of the Calafiore family tend to do) and has been able to mask the fact that he's a formidable physical competitor with his overall likeability. I am a fan of strategic play first and foremost, but a good social game comes a close second. Victor & co. were offering a proven commodity in the house, their loyalty. They proved, as they stated, how loyal they were in their devotion to Jozea and were offering Paulie that some loyalty. They were essentially the army of a fallen emperor volunteering to serve the nemesis who slayed their leader. Paulie could have viewed this opportunity as a chance to shake up the game. He could've joined the minority alliance, tried to sway an Eight-Pack member or two, and really turned things upside down as the leader of this new resistance. Think about it from that perspective, not such an easy thing to say no to, right? A move like that would paint him as someone here to play the game and he would undoubtedly be admired by the viewers for making such a big move. Paul, though, ran the numbers. He had the sense of mind to know its too early for a move of that magnitude, and he shouldn't be shaking things up quite yet. You might say he's just being loyal, but I say he's being smart. Which leads me to my last point on Paulie, he's not getting blood on his hands. As H.O.H this week he did what was expected of him and nominated two of the members of the minority alliance who had just voted against him. It was one of those easy H.O.H decisions, where he had a clear choice in front of him that both had the potential to take out a huge competitor, but was also justifiable because of how the vote shook out just days earlier. He keeps the majority alliance happy, and even the people he nominated cant really blame him. Paulie is playing strong, social, and smart. All the ingredients for a long run in the BB house. The last Houseguests I am going to touch on in this week’s column (though I would like to touch on more, I've already been less brief than I was hoping) are Victor and Paul. Its really not fair to group them together strategically and in terms of game play, but I'm going to anyway. Paul is playing the game, now, with so much more aptitude than I expected of him. Paul came across in the preseason as a bully-villain who was going to strictly be annoying and couldn't really care less about the game. Now, though, he is learning in stride really well and adapting. When Paulie approached him with the pawn plan, Paul was smart enough to A.) Understand he didn't really have a choice, and B.) Further understand that, despite his close friendship with Victor, he couldn't divulge the plan to Victor in blind loyalty because he would essentially be punching his ticket out of the house. 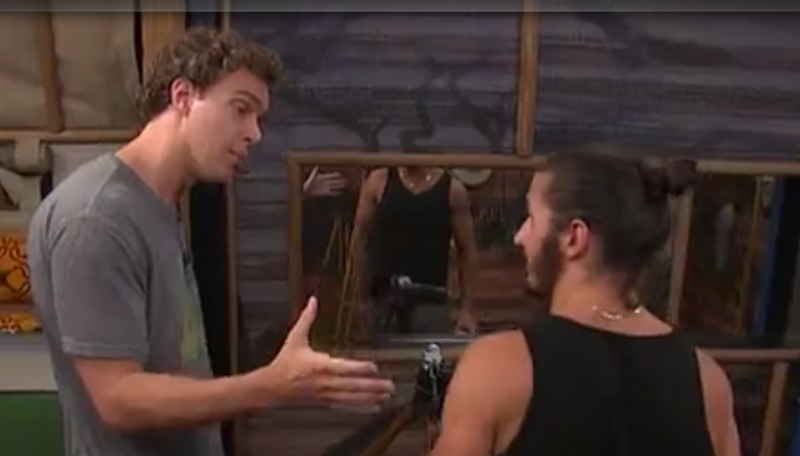 Paul’s gauging of being on the block and handling of Victor this week thus far has really shown me that Paul has the potential to understand and play this game on a level I really don't think many people expected of him. He still has a ways to go, and how he handles the rest of this week could be really indicative of the rest of his game, but I cant say I am not impressed with his adaptability and quick up-taking of the game. Here's the long and short of my perspective on Victor - I actually feel bad for him. He's not playing a great game, but I think he's playing a better game than people are giving him credit for. I think, at least, his head has been in the right place on a few of his moves. A lot of people have been really hard on Victor about talking to much. 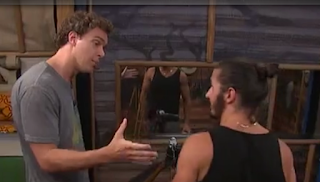 He revealed a lot to Nicole in the first week about her being Jozea’s target, and this week he told Paulie and Frank about his Roadkill win - none of which were “good moves”. Here's how I see it, though. Victor is trying to cultivate trust, something worth its weight in gold in the Big Brother house. Granted, hes spilling his secrets to the wrong people, which is why in no way am I arguing he is playing a “good” game, but his head is in the right place in understanding that the way to win people over in this game is to give them your loyalty and your trust. Hes made mistakes, but he hasn't played the worst game I have ever seen. Beyond that, hes really trying. He came to Paulie with the aforementioned loyalty pitch, which as I mentioned, was a better offer than most people gave him credit for. He knows he is in trouble, and offered all he has, his loyalty and his physical prowess. Victor’s downfall in this game is ultimately that he aligned with the wrong people. That, in itself, is a fatal game error that I am not excusing him for. I am not a Victor apologist by any means - he chose a side of the house and he chose wrong, and now he’ll pay for it. I just think, though, that people are choosing not to see things from his perspective. Sadly for Victor, in his efforts to cultivate trust and demonstrate loyalty, he has only all but guaranteed his back-dooring this week. All that being said, I’ll just end with this - it's easy for us. We’re sitting on our couches, studying the game, saying “Oh, what a moron”, or, “I wouldn't have done that,” but most of us have never been in that position and most of us never will be - so we just don't know. 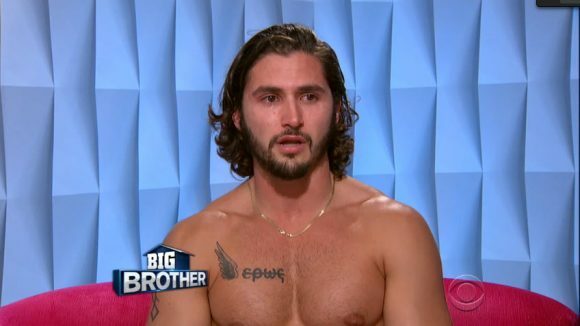 Victor isn't the best player to have ever played Big Brother - he's probably not even mediocre - but before you jump all over him, or anyone, try to see things from their perspective and ask yourself if you really would’ve handled it any better. Big Brother is a complex, emotionally layered, game. And that's why we love it. Don't forget to stop by next week for my latest installment of, “From My P.O.V”.